A couple of weeks ago I was invited along to an event at my old stomping ground, Usquabae Whisky Bar, to sample a whisky from a distillery which isn’t built yet. Confused? Let me explain. The original Ardgowan Distillery was established in 1896 during the late Victorian whisky boom, and was located on Baker Street in Greenock. It ceased whisky production at the outbreak of World War II, when it instead produced grain spirit and industrial alcohol to help the war effort. However, it was destroyed in the May Blitz of 1941, seemingly confined to the annals of history. However, a ‘new’ Ardgowan Distillery is set to bring the brand back to life, with the distillery being located on the Ardgowan Estate in Inverkip, 30 miles west of Glasgow. The founders of Ardgowan Distillery Co, which is scheduled to start construction at the start of next year, used to work in renewable energy. 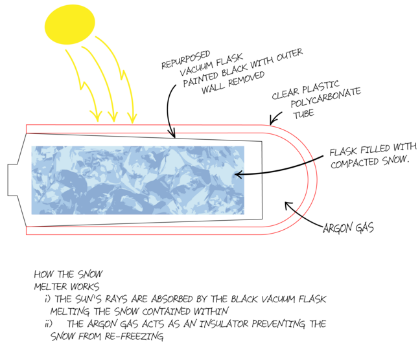 In 2016, they were approached by Robert Swan OBE to create an eco-friendly ‘snow melter’ so that Robert, his son Barney, and the rest of the team taking part in the South Pole Energy Challenge would have a zero-carbon method of creating drinking water from the frozen tundra around them whilst trekking to the pole . Why zero-carbon? They wanted to show you could survive in one of the most inhospitable climates on earth without using any of the planets resources. Cue a repurposed Thermos flask, some argon gas, glue, black paint and bit of good old elbow grease, and… viola… the snow melter was born. 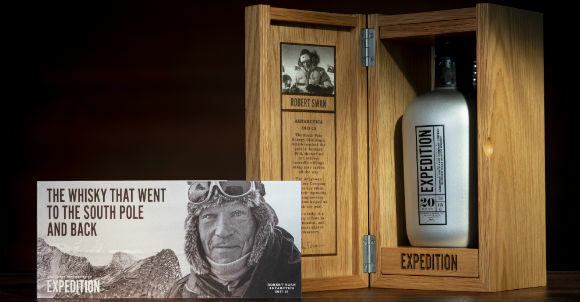 In return for producing the flasks for the expedition team, Martin McAdam (CEO of Ardgowan Distillery) asked Robert’s team to take a bottle of whisky to the south pole with them. Once safely back in Scotland, the bottle was blended together with several other casks from Speyside and the northern Highlands by former Macallan chief, Willie Phillips, to create Ardgowan Expedition. A nice story, eyecatching packaging, and an eyewatering price, but what’s the liquid like? Nose: Singed orange peel to begin, followed by stroopwafel, hard toffee, loads of honey, and toasted teacakes. There’s also some cinnamon swirls, a touch of hazelnut, orange marmalade on toast, and dusty baking spices with some dry oak. Palate: Quite a spicy start, with cinnamon, nutmeg, some cracked black peppercorns and a touch of clove. Then it settles to some malt loaf, manuka honey, buttered gingerbread, blood oranges, sultanas and juicy oak. Finish: lingering, gentle oak, along with mixed dried fruits and toasted vanilla pods. Overall: Firstly, the liquid is very tasty. There’s good balance between the spice, the citrus and the rich, dried fruits. 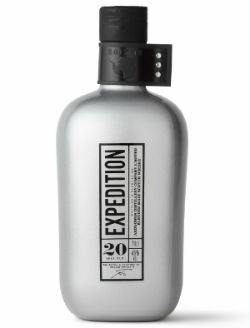 I also don’t mind the packaging – I see the link between the bottle, the South Pole Expedition and the zero-carbon snow melter. But the price. £500 is A LOT of a 20yo blended malt. I suppose those who buy this are bargaining on it becoming an ‘investment grade whisky’ but that’s a big punt at the moment given this distillery isn’t even a foetus, let alone in its infancy. Remarkably, about half of the 600 bottles have already been sold. More interestingly, though, I found out at the launch night that they plan on releasing several whiskies in the style of what they think the Ardgowan will taste like once it’s reached maturity, very much in a Raasay-While-We-Wait kinda way, with a similar £50-ish price point. Stay tuned for that. This entry was posted	on Monday, September 17th, 2018 at 11:31 am	and is filed under Reviews. You can follow any responses to this entry through the RSS 2.0 feed. You can leave a response, or trackback from your own site.